This library of reference material and home buyer resources will provide you with a wealth of information on buying a home. Building Or Buying a Home? Think “Green”! Remember, the stock market affects the housing market. If the stock market is stable, housing prices remain stable. If the stock market is declining, housing prices drop. Most people tie up their assets, which we call wealth, in one of two main places: homes or investments. If investment returns are high, people generally buy larger homes and spend more on their housing needs. However, when investment returns drop, most people are less willing to spend the high dollar for homes and are out looking housing for bargains. Be resourceful and make sure you know where you want to put your money beforehand! If your new mortgage reads "payment must be X or more", you have the right to and are free to make extra principal payments every month. This is a wise investment. Even $25 extra a month pays your loan off sooner and saves on interest payments. Consider paying your mortgage every two weeks. To do this, divide your monthly mortage payment by 2 and pay that amount every two weeks. This equates to making 13 monthly payments every year and with a 30 year mortgage can lead to a mortgage pay off 7 or 8 years earlier! Always check with your mortgage lender for permission and for exact payoff information. Always check with your REALTOR® when in doubt about purchase and financing. In this age of heavy telemarketing and abundant TV commercials, you want to deal with a lender you can trust. Your REALTOR® can recommend reputable mortgage representatives who can help find the best rates and mortgage programs for you. Call Today! If you will be commuting by car between your new home and your job, be sure to drive the route during both morning and evening rush hours before you make an offer to purchase. Many times prospective buyers look at homes during the late morning or early afternoon when traffic is relatively light. Make sure you know exactly what you are facing when you will be driving the route every day. When you find a home you like, have your realtor run "comps" on recent sales in the area to compare prices, sizes, and features of your prospective home with others. Be aware that the raw data may not provide an accurate comparison. Sometimes the sold price of a property includes other terms and conditions - decorating allowances, money for a new roof, etc. 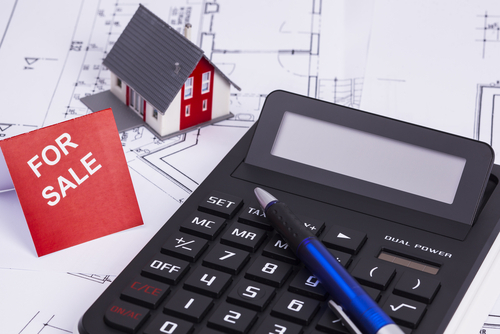 If that's the case with a home you are using as a basis for price comparison, the information may not be accurate, and the house you like may be overpriced. Be sure you are comparing apples to apples, not apples to oranges. Investigate, before purchase, the original use of the land on which the house is built. More than one buyer has run into trouble because of items not readily apparent. For example, if an orchard was leveled to build your subdivision, there may be a lot of wood under the soil. This wood can be a haven for termites, which then are likely to migrate to the homes in the area. If the exact school your child attends is important to you, verify that the address of your proposed home is within the boundaries for that school. Don't assume anything. School boundaries are sometimes drawn according to factors other than geography. You've found your peaceful haven on a lovely, quiet lake. Make sure you visit on a summer weekend before you buy. You may be unpleasantly surprised by the noisy jet skis, absent on Wednesday, but zipping around on Saturday and Sunday afternoon. They can seriously interfere with your dream of serenity! The property you want to buy is a "For Sale By Owner". Be very careful before jumping into a purchase without a real estate agent to guide you and manage the transaction to closing. There are many, many pitfalls that can cause a FSBO deal to fall apart. The home may be overpriced and consequently not appraise for the mortgage you want. Various inspections may not be completed in a timely fashion without an agent to oversee the timeline. You may not receive full disclosure of past problems with the property - leaky basements, buried oil tanks, etc. Consider asking your real estate agent to find out whether the sellers will "cooperate" (pay your agent a commission) to handle the details of the sale and thus insure that everything possible is done to make the sale go through. The first thing people usually want to know when they decide to go house hunting is "How much house can I afford?" Sometimes your view of what you can afford is quite different from the mortgage company's view! Before you fall in love with a dream house that is out of reach according to mortgage loan guidelines, take a few minutes to do some calculating. The result of the process we will step you through is simply an estimate. The amount calculated should be used as a guideline. It is important to remember that only your loan officer can give you a true loan qualification amount. Qualification details including amount down, loan term, loan type, differ by loan program so be sure to talk to your loan officer as soon as possible in the house hunting process. Following the steps below will result in a calculation of two sets of figures. These represent the low and high extremes of the mortgage amount you may qualify for. Subtract your monthly debts. (This should include all personal debts including credit cards, car payments and child support.) This will give you the amount of your income that you have left for your monthly house payment. Find out what your property tax and insurance will equal if paid in twelve monthly installments. Subtract this from the total arrived at in #2. (You may get these figures from an insurance agent and the local government offices where you are thinking about purchasing a home.) This will leave you a net mortgage amount that you can afford. (Principal and Interest). Multiply this amount by 12 months. This will give you your annual mortgage payment. Divide this amount by the current average interest rate. You may find this out from your local lender. For example: if the rate is 7 1/4%, you would use .0725. The result of this final step will give you the amount of a mortgage that you are likely to qualify for. Now add the amount that you have saved for a down payment and this will give you the approximate price of a house that you can afford. Step 7 Contact your REALTOR® and have fun finding your new home. Don't forget to visit a lending institution to get actual qualification numbers. Your REALTOR® will be happy to provide a referral to a lending institution should you desire one. A valid pre-qualification certificate from the lender is an advantage to you when you find the right property and are prepared to make an offer. Sellers like to know that the deal won't through for lack of financing! If you aren't in the market for a new home, refinancing your current home may be a viable option. The most common rule of thumb used to determine feasibility: there should be at least a 2% spread between the old interest and the new rate. The reasoning is that the difference in interest rates will justify the expenses incurred when refinancing. The fact is, refinancing should be done when there's a significant monthly savings and you plan to live in the home long enough to recapture costs of refinancing. Please remember that points paid on a refinance are not fully deductible as interest in the year paid. Most tax experts will tell you to get a par value loan when you refinance your home. This will keep your out-of-pocket cash to a minimum. Even though your interest rate may be a little higher when you don't pay "points", in most cases it is fully deductible. For impartial advice about whether to refinance or not, call a REALTOR®. Professional expertise can help you make the right decision. Consider the quality of the school system when choosing the location of your new home. Try to match your child with the right school. If your child isn't an academic superstar, a school where the pressure for high achievement is strong may not be the right choice. When your child is a sports hero, make sure that sports are an important part of the agenda, not an afterthought. The last thing you want to do is damage self-esteem by placing your child in an environment that just doesn't fit the individual. Check the area's public, parochial, and private schools. In your information gathering phase, call school district offices, churches, and check the Internet for information you require in making an enrollment decision. Bonus: A top-rated local school system increases property values! 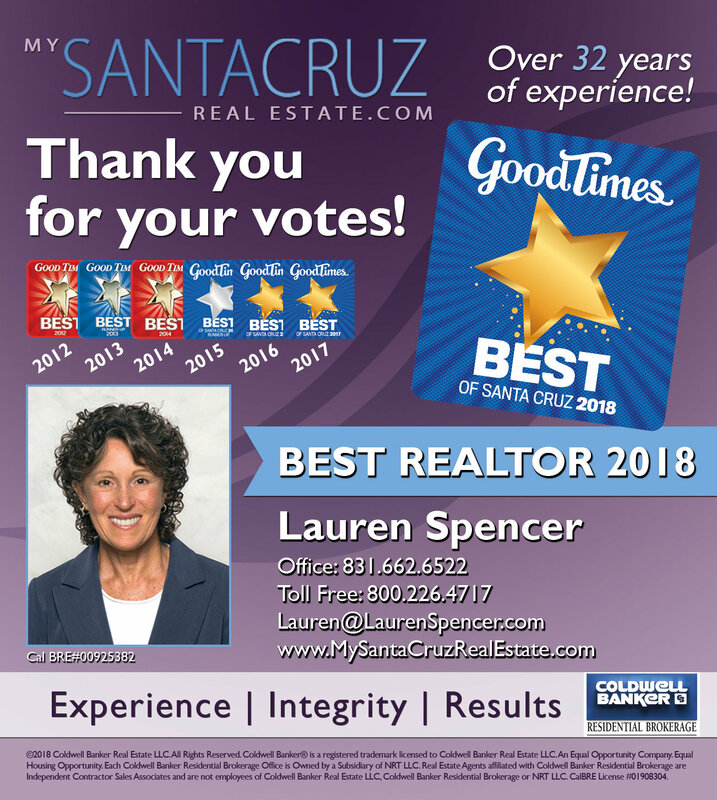 Get Started With Lauren Spencer Today! 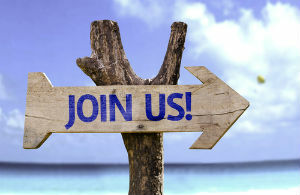 Register on www.mysantacruzrealestate.com and gain members-only access to custom search tools. Find the perfect fit in Santa Cruz quickly and efficiently. You'll be able to bookmark favourite listings or opt-in to receive email alerts for new homes matching your specific criteria as they enter the market. When you know where you will be moving, there are some steps you can take to help make your child's move easier. As soon as you can, make contact with the new school to get accurate registration information. You will need a birth certificate and possibly a physical exam accompanied by certain immunizations. Get the correct dates for orientation and schedule your appointment. Be sure you have all academic credit transfer information and get started on the transfer before you reach your new location. Another very important item on the registration list is establishing all the sign-up deadlines and requirements necessary for the sports or other activities in which your child may want to participate. Acquaint yourself and your student with bus stop locations and transportation rules to and from school. Some systems do not provide transportation, or provide it only under specific conditions. Verify school location, classroom locations, and school dress codes. Prior to school shopping, try to observe with your child the way the students dress in the new school. This is a very important step in helping them to fit in and be accepted by their new classmates. Remember, the older the child, the more important it is for them to "dress right" for school. After you have determined "what's in", plan a shopping trip together to make quick wardrobe updates. Moving during the summer is very common because it allows a student to complete the academic year without having to adapt to a different curriculum. However, making new friends during the vacation period can be difficult. Try to find at least one friend for your child before or immediately after you move. Arrange a meeting prior to the start of school. The first day of school is easier when there is at least one friendly face. Ascertain whether any of the activities your child plans to participate in during the school year offer summer camps or practice. Being involved in the new school at the beginning of the school year allows time to make friends before cliques are formed. On the other hand, a new child is sometimes a novelty when school starts and friendships can be quickly forged. If you are reading this via the Internet, you probably already have a computer with Internet access at home. 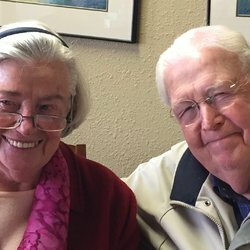 If you are reading this from a connection at work, you may want to consider investing in a home computer as a family gift because the computer is an invaluable tool for students doing projects for school. Internet access is almost a must today for school research papers and homework requirements. If you are concerned about access to inappropriate material on the Internet, you can buy a computer nanny service (software) to block the web content you do not want your child to see. The cost is minimal. In considering which Internet access provider to choose, it is important that your access is "unlimited" and "toll-free". Most areas offer this service for $19.95 a month or less. If you do not have a home computer, your student may be able to use one at a local library. About 45% of North American libraries have some sort of Internet access. Inform the school administration of your child's special requirements. When you are on the "house hunting trip", meet with school officials to discuss special needs issues. If you have a gifted or disabled student, special education needs may be a major consideration in your new home's location. In families where both parents work outside the home, be sure to inquire about after school programs for students. Some schools offer them; some don't. Some programs are free; some are fee-based. Get the details. If you are the parent of a college student, be sensitive to the fact that moving is difficult for them too. Although local school issues may not be as important in your new location decision when you don't have a student living at home, be understanding if your college-age son or daughter is not eager to come home to spend vacations in your new location. When you "make" them move and leave their high school friends behind, it is possible that your new house will never be considered "home". By all means, do not take this opportunity to turn their bedroom into the guest room or home office you've always wanted! While there is no common definition of a “green home,” experts agree that they’re becoming increasingly popular with buyers. So what makes a building green? So whether you simply want to save some money on utilities or seek something grander, there are many ways to improve the green quotient of your home. Green homes can save you money in the long run. 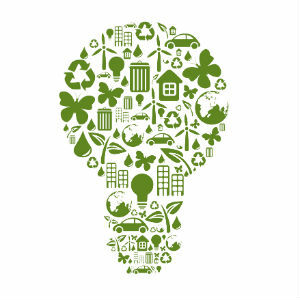 An energy efficient home can reduce your electric and natural gas bills by as much as 30% or more. Careful analysis of house size and configuration, insulation levels, heating and cooling equipment selection, and ductwork location all enhance energy efficiency. Designing your home to take advantage of natural wind currents, sun angles, and on-site shade reduces the need for air conditioning. But you needn’t purchase a new home to benefit from green practices. Smaller scale, and lower cost, improvements can help too. Installing water efficient appliances, faucets, toilets, and landscape watering equipment is a fast and easy way that do-it-yourselfers can lower water bills. Make sure your windows and doors are properly sealed. Check to see that your home is sufficiently insulated. Replace incandescent light bulbs with fluorescent wherever feasible. These simple projects can reap impressive rewards when it’s time to pay the bills. Green homes not only can save you money, they also help save the environment. Green-building practices differ from conventional building by reducing construction waste and debris going into landfills, increasing use of recycled and reused building materials. Reducing the average home’s energy use by 30% will reduce carbon dioxide emissions by about 34,000 pounds over its 30-year lifetime while helping to prevent global warming. Designing your home to reduce storm water runoff helps protect streams, rivers and other waterways from pesticides, fertilizers, and other lawn and garden chemicals. Minimizing the building footprint and reducing driveway pavement helps prevent rain water from finding its way to the sewers. Use water from downspouts to water the garden. Saving existing trees on your site, and using native plant species that are suitable for your climate reduces the need for excessive watering. Green homes can be healthier for you family too. The EPA reports that air in new homes can be 10 times more polluted than outdoor air. Many people suffer illness from airborne chemicals and allergens. Indoor environments often concentrate chemical and biological contaminants. If specific attention is paid to the materials used in construction, a green home can reduce exposure to potential toxins. Many products are manufactured with formaldehyde, a suspected human carcinogen. Cabinets, counter tops, shelving and furniture are made from particleboard that is glued together with formaldehyde that is released into the home for years. And smart building practices can reduce the likelihood of future problems. For example, protecting the ventilation ducts from dust and moisture during construction reduces the introduction of airborne particulates and mildew into the home. New construction materials such as OSB and Medite that contain no formaldehyde are entering the market. The Cost-Myth of Building: Are Green Homes More Expensive? 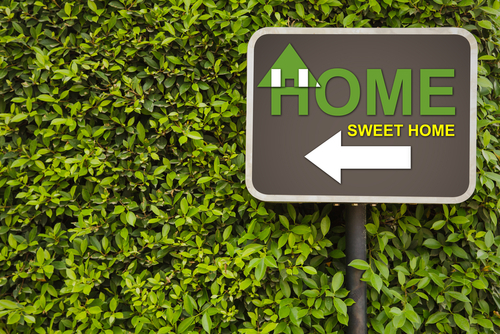 It’s a common myth that green homes are more expensive than conventional ones. But the truth is that green homes range from affordable urban infill homes to middle-class suburban homes to million-dollar-plus custom homes. There are a couple of issues related to cost. Clearly, if one takes a standard home and adds “green stuff” to it, there will be added cost. In most cases, even this doesn’t have to be a deal-breaker. But if one is thinking “green” prior to design and construction there are numerous opportunities to shift costs, ending up with a higher quality home for the same cost. And in the long run a little extra money up front can mean higher resale value down the road. Several popular green building features, particularly energy and water efficiency features, actually pay back the investment over time. A study by the Residential Energy Services Network (RESNET) and the EPA reported that for every one-dollar decrease in a home’s annual utility bill due to energy efficiency, the market value of that home increases twenty dollars. So what do you look for when you want to buy green? Energy efficiency – look for EPA Energy Star certified appliances, a lot that takes advantage of the sun’s path, prevailing breezes and tree shading to provide warmth in winter, avoid overheating in summer and enable good cross-ventilation, and a properly designed, air-tight duct system. Water efficiency – your new home should have low flow plumbing fixtures, a modern dish washer and washing machine, and landscaping that consists of indigenous species that require minimal care. Building materials – keep an eye out for low maintenance finishes like brick, fiber-cement, and tile, avoid carpets and cabinets assembled with glue that might emit toxic fumes. Sometimes that “new house smell” isn’t all it’s cracked up to be. 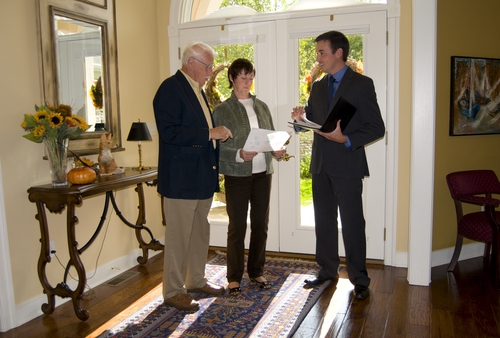 Frequently, the first person you consult about buying a home is a real estate agent or broker. Although real estate brokers provide helpful advice on many aspects of home buying, they may serve the interests of the seller, and not your interests as the buyer. The most common practice is for the seller to hire the broker to find someone who will be willing to buy the home on terms and conditions that are acceptable to the seller. Therefore, the real estate broker you are dealing with may also represent the seller. However, you can hire your own real estate broker, known as a buyer’s broker, to represent your interests. Also, in some states, agents and brokers are allowed to represent both buyer and seller. Sales Price - For most home purchasers, the sales price is the most important term. Recognize that other non-monetary terms of the agreement are also important. Title - "Title" refers to the legal ownership of your new home. The seller should provide title, free and clear of all claims by others against your new home. 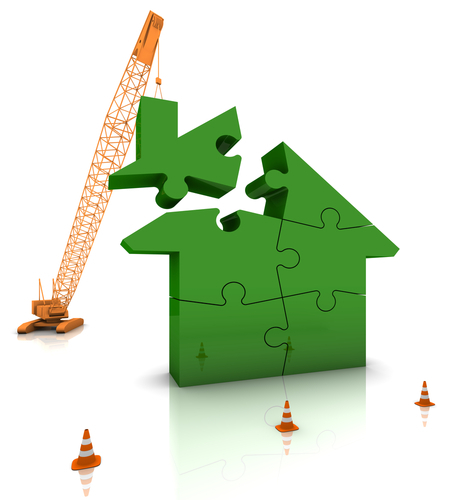 Claims by others against your new home are sometimes known as "liens" or "encumbrances." You may negotiate who will pay for the title search which will tell you whether the title is "clear." Mortgage Clause - The agreement of sale should provide that your deposit will be refunded if the sale has to be canceled because you are unable to get a mortgage loan. For example, your agreement of sale could allow the purchase to be canceled if you cannot obtain mortgage financing at an interest rate at or below a rate you specify in the agreement. Pests - Your lender will require a certificate from a qualified inspector stating that the home is free from termites and other pests and pest damage. You may want to reserve the right to cancel the agreement or seek immediate treatment and repairs by the seller if pest damage is found. Home Inspection - It is a good idea to have the home inspected. An inspection should determine the condition of the plumbing, heating, cooling and electrical systems. The structure should also be examined to assure it is sound and to determine the condition of the roof, siding, windows and doors. The lot should be graded away from the house so that water does not drain toward the house and into the basement. Lead-Based Paint Hazards in Housing Built Before 1978 - If you buy a home built before 1978, you have certain rights concerning lead-based paint and lead poisoning hazards. The seller or sales agent must give you the EPA pamphlet "Protect Your Family From Lead in Your Home" or other EPA-approved lead hazard information. The seller or sales agent must tell you what the seller actually knows about the home's lead-based paint or lead-based paint hazards and give you any relevant records or reports. Other Environmental Concerns - Your city or state may have laws requiring buyers or sellers to test for environmental hazards such as leaking underground oil tanks, the presence of radon or asbestos, lead water pipes, and other such hazards, and to take the steps to clean-up any such hazards. You may negotiate who will pay for the costs of any required testing and/or clean-up. Sharing of Expenses - You need to agree with the seller about how expenses related to the property such as taxes, water and sewer charges, condominium fees, and utility bills, are to be divided on the date of settlement. Unless you agree otherwise, you should only be responsible for the portion of these expenses owed after the date of sale. Settlement Agent/Escrow Agent - Depending on local practices, you may have an option to select the settlement agent or escrow agent or company. For states where an escrow agent or company will handle the settlement, the buyer, seller and lender will provide instructions. Settlement Costs. You can negotiate which settlement costs you will pay and which will be paid by the seller. You can reveiw those active properties you have your eye on with our bookmarking tools & get listing alerts to properties that match your interests. A lender’s title insurance policy does not protect you. Similarly, the prior owner’s policy does not protect you. If you want to protect yourself from claims by others against your new home, you will need an owner's policy. When a claim does occur, it can be financially devastating to an owner who is uninsured. If you buy an owner's policy, it is usually much less expensive if you buy it at the same time and with the same insurer as the lender's policy. 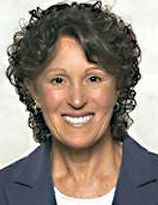 In many areas, a few days or weeks before the settlement or closing of the escrow, the title insurance company will issue a "Commitment to Insure" or preliminary report or "binder" containing a summary of any defects in title which have been identified by the title search, as well as any exceptions from the title insurance policy’s coverage. The commitment is usually sent to the lender for use until the title insurance policy is issued at or after the settlement. You can arrange to have a copy sent to you (or to your attorney) so that you can object if there are matters affecting the title which you did not agree to accept when you signed the agreement of sale. 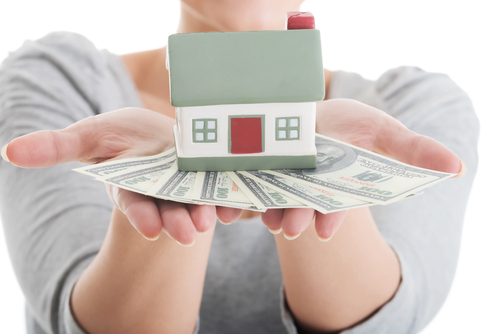 To save money on title insurance, compare rates among various title insurance companies. Ask what services and limitations on coverage are provided under each policy so that you can decide whether coverage purchased at a higher rate may be better for your needs. However, in many states, title insurance premium rates are established by the state and may not be negotiable. If you are buying a home which has changed hands within the last several years, ask your title company about a "reissue rate," which would be cheaper. 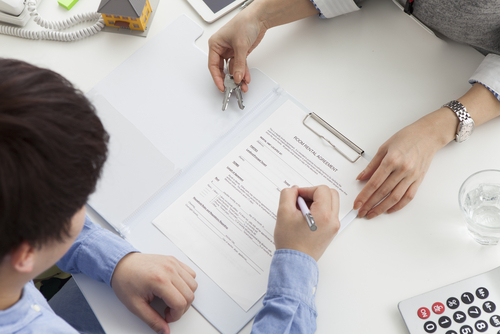 If you are buying a newly constructed home, make certain your title insurance covers claims by contractors. These claims are known as "mechanics’ liens" in some parts of the country. Good Faith Estimate of Settlement Costs - RESPA requires that, when you apply for a loan, the lender or mortgage broker give you a Good Faith Estimate of settlement service charges you will likely have to pay. If you do not get this Good Faith Estimate when you apply, the lender or mortgage broker must mail or deliver it to you within the next three business days. Servicing Disclosure Statement - RESPA requires the lender or mortgage broker to tell you in writing, when you apply for a loan or within the next three business days, whether it expects that someone else will be servicing your loan (collecting your payments). Affiliated Business Arrangements - Sometimes, several businesses that offer settlement services are owned or controlled by a common corporate parent. These businesses are known as "affiliates." 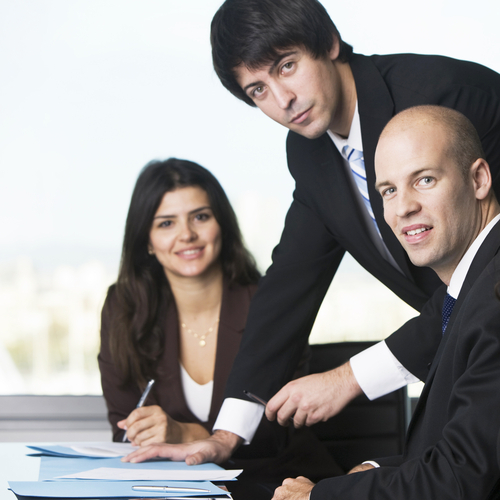 When a lender, real estate broker, or other participant in your settlement refers you to an affiliate for a settlement service (such as when a real estate broker refers you to a mortgage broker affiliate), RESPA requires the referring party to give you an Affiliated Business Arrangement Disclosure. This form will remind you that you are generally not required, with certain exceptions, to use the affiliate and are free to shop for other providers. HUD-1 Settlement Statement - One business day before the settlement, you have the right to inspect the HUD-1 Settlement Statement. This statement itemizes the services provided to you and the fees charged to you. This form is filled out by the settlement agent who will conduct the settlement. Be sure you have the name, address, and telephone number of the settlement agent if you wish to inspect this form. The fully completed HUD-1 Settlement Statement generally must be delivered or mailed to you at or before the settlement. In cases where there is no settlement meeting, the escrow agent will mail you the HUD-1 after settlement, and you have no right to inspect it one day before settlement. Escrow Account Operation & Disclosures - Your lender may require you to establish an escrow or impound account to insure that your taxes and insurance premiums are paid on time. If so, you will probably have to pay an initial amount at the settlement to start the account and an additional amount with each month's regular payment. Your escrow account payments may include a "cushion" or an extra amount to ensure that the lender has enough money to make the payments when due. RESPA limits the amount of the cushion to a maximum of two months of escrow payments. Questions about buying real estate in the greater Santa Cruz area? If you would like more information and home buyer resources contact Lauren Spencer, Coldwell Banker Realtor at 1-831-662-6522 or Toll Free: 1-800-226-4717.